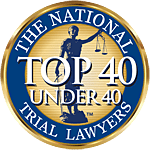 Over the past 40 years, our firm has had the privilege of working with some of the most dedicated professionals in Southwest Florida. They're called First Responders and their job is to be first on the scene of an emergency. They enforce the rules that keep us all safe and when someone breaks those rules, they are there to give us lifesaving care. They're real life heroes who have only one mission: to help others. To all those who work selflessly to make our community a safer place to live - Thank You. At Associate and Bruce L. Scheiner, we salute your life saving work.